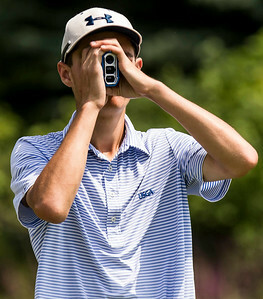 Sarah Nader - snader@shawmedia.com Prairie Ridge's Cameron Karney watches his drive from the fourth tee during the third round of the 48th Illinois State Junior Amateur Championship Thursday, June, 28, 2017 at Makray Memorial Golf Club in Barrington. 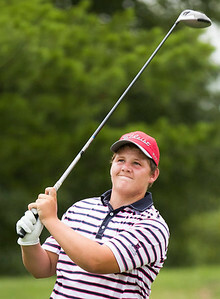 Sarah Nader - snader@shawmedia.com Jacobs' Garrett Tighe watches his drive from the 15th tee during the third round of the 48th Illinois State Junior Amateur Championship Thursday, June, 28, 2017 at Makray Memorial Golf Club in Barrington. 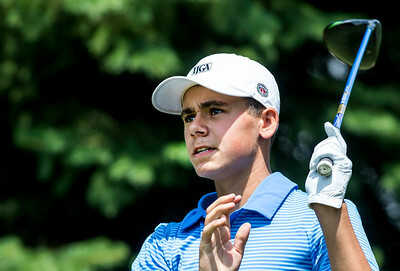 Sarah Nader - snader@shawmedia.com Ethan Farnam looks at the seventh hole during the third round of the 48th Illinois State Junior Amateur Championship Thursday, June, 28, 2017 at Makray Memorial Golf Club in Barrington. 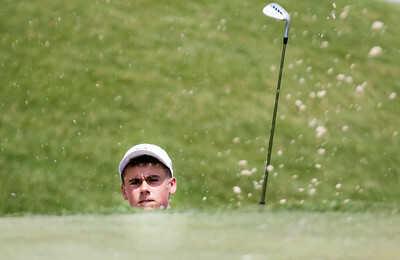 Sarah Nader - snader@shawmedia.com Jacobs' Garrett Tighe hits from the bunker during the third round of the 48th Illinois State Junior Amateur Championship Thursday, June, 28, 2017 at Makray Memorial Golf Club in Barrington. 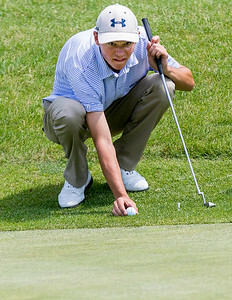 Sarah Nader - snader@shawmedia.com Ethan Farnam lines up his putt on the sixth hole during the third round of the 48th Illinois State Junior Amateur Championship Thursday, June, 28, 2017 at Makray Memorial Golf Club in Barrington. 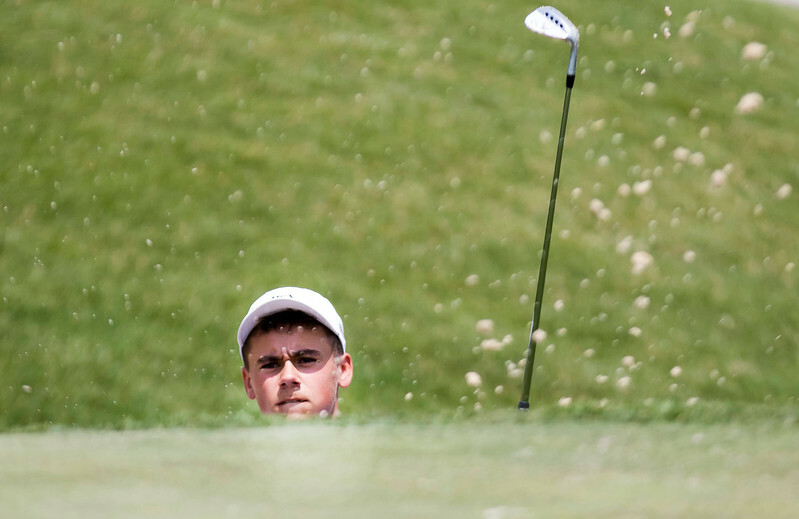 Sarah Nader - snader@shawmedia.com Prairie Ridge's Cameron Karney hits from a bunker during the third round of the 48th Illinois State Junior Amateur Championship Thursday, June, 28, 2017 at Makray Memorial Golf Club in Barrington. 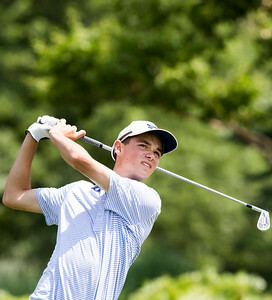 Sarah Nader - snader@shawmedia.com Ethan Farnam watches his drive from the fifth tee during the third round of the 48th Illinois State Junior Amateur Championship Thursday, June, 28, 2017 at Makray Memorial Golf Club in Barrington. 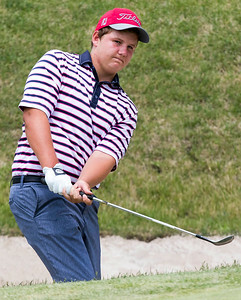 Jacobs' Garrett Tighe hits from the bunker during the third round of the 48th Illinois State Junior Amateur Championship Thursday, June, 28, 2017 at Makray Memorial Golf Club in Barrington.